What does a GFCI do? A GFCI device is a Ground Fault Circuit Interrupter. It is a device designed to protect you from electrical shock. Many times you will find them in areas with wet surfaces such as a bathroom, kitchen or garage, or used in outdoor electrical outlets. If the device senses a ground fault it will trip to prevent the possibility of electric shock or electrocution. What should I do if the GFCI trips? There are two buttons on GFCI devices. You can test the device by pressing the black button. That should cause the circuit to trip, indicated by the red button popping out. When this happens, the outlet will be disabled and all other outlets and electrical connections on that circuit will be disabled. You reset the device by pressing the red button until it latches in place. If the device tripped by itself, check for causes that might have made it trip before trying to reset it. If it continues to trip for no apparent reason, contact a licensed electrician to have it checked out. What is the difference between a circuit breaker and a fuse? A circuit breaker and a fuse both perform the same function, interrupting the flow of electricity when a fault is sensed in an electric circuit. Fuses are cheaper to install, but not as efficient in the long run. Circuit breakers can be reset without having to replace anything, but fuses must be replaced when they trip. Today circuit breakers are economical and are used in most modern applications due to their ease of use. How do I reset a circuit breaker? First you need to determine why the circuit breaker tripped. The breaker is there for a reason - to protect you and your belongings. Once you have corrected the situation by unplugging whatever caused the problem, you can proceed to the circuit breaker box. Open the door to the circuit breaker box to see the row(s) of breakers. Never remove the cover from the circuit breaker box since this will expose dangerous levels of electricity. You can normally tell which circuit breaker has tripped just by looking at it. Circuit breakers look and act similar to a regular wall switch that you use to turn on the lights, but most of the time they are oriented horizontally instead of vertically. The tripped circuit breaker will appear to be in the middle position, neither on or off. Push it all the way to the off position, then switch it back to the on position where it should latch. If it doesn't latch try repeating the sequence. As always when you are dealing with electricity use extreme caution and if it doesn't look right then don't do it. If the breaker will not latch or it trips again, do not continue trying to reset it. Call a qualified, licensed electrician to have it checked out. Yes, but you must use a dimmer and light fixture specially made for fluorescent lights. Is it OK to use a dimmer with fluorescent lights? Can I plug a refrigerator in my garage? In newer homes the electrical outlets in garages are protected by a GFCI device in compliance with the National Electrical Code. GFCI devices will not work with refrigerators or freezers. You can have a dedicated line installed, just make sure it is done in accordance with all applicable codes. Older homes generally do not have GFCI devices so that will not be a problem as long as the electrical circuit can handle the extra load. Is it normal for the lights to dim momentarily when my air conditioner turns on? An air conditioner presents a very large load to your electrical circuit and can cause a momentary dip in the voltage level. This momentary dip is what causes the lights to dim, but it has no ill effect on your electrical circuits or electrical devices. Does lightning surge protection equipment really work? Lightning is a very powerful force of nature and nothing can totally prevent it from causing damage under the right conditions. However, you stand a much better chance of protecting your valuable electrical/electronic equipment by using surge suppression for most circumstances. What does it mean when my smoke detector or carbon monoxide detector chirps? A continuous chirping generally indicates a low battery. If you change the battery and it continues to chirp, then the detector is most likely defective and should be replaced. Every now and then I sense a little tingling or minor shock when opening my refrigerator. Is this normal? This is absolutely not normal. You should never get even a minor shock when touching an electrical device. If you do, unplug the device immediately and consult a professional. How can I be sure the electrical system in my home or business is safe? Have the system inspected by a licensed electrician. What should I be looking for when I call an electrical contractor or an electrician? Make sure the contractor or the electrician is licensed to work in your community. You can contact your local government office to determine the proper licensing requirements. Don't hesitate to ask the contractor or electrician to see their license; a reputable company will be happy to do so. You need to check with your local community to determine their regulations when it comes to doing your own work. Most local governments will require you to have a permit to do any electrical work. Although it is not recommended, if your local government allows it and if you are qualified and know the proper safety precautions, you can perform your own electrical work. 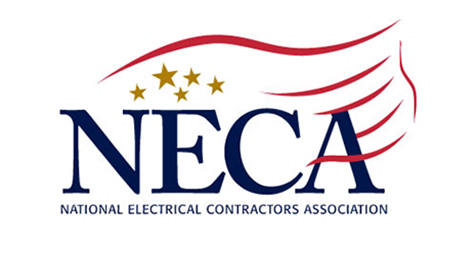 Anyone performing the work must do it in compliance with the National Electric Code. When you sell the building most municipalities will require an inspection letter from a licensed electrical contractor. If you do the work without meeting the local requirements, you could be taking on the electrical no permit liability. Before you attempt any electrical work, remember that about 1,000 people die every year from electrocution. How often should I inspect or test my industrial/commercial electrical equipment? All electrical equipment used in industrial, commercial or institutional settings should be checked regularly by a qualified professional. When used in a mild environment your electrical equipment should be inspected at least annually. Under severe conditions, the equipment should be checked more frequently, as little as every 30 days. It is a good idea to keep written records of the inspections to keep track of any trends that could be showing signs of an impending failure. I want to do some excavating on my property. How can I tell if there are underground wires? Some communities will have a central agency that can identify underground utilities for you before you start digging. In St. Louis you can call 1-800-DIG-RITE and they will contact all of the appropriate utility companies. In other areas you should contact your local utility and they can mark the location of underground lines for you. Although there is no absolute rule, any level that exceeds 30 volts is generally considered dangerous.